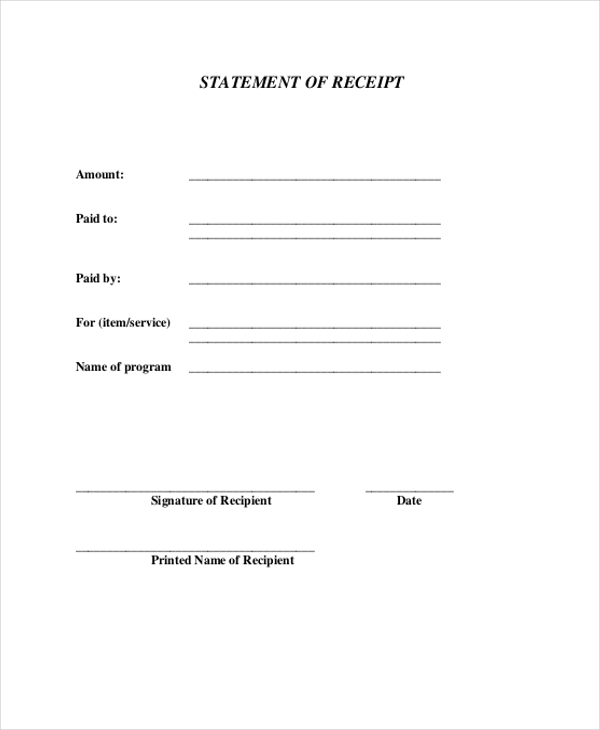 Useful for all kinds of business, this form is issued to the payer when he or she pays in cash. These can be used by contractors, house owners as well as business organizations for their cash transactions. 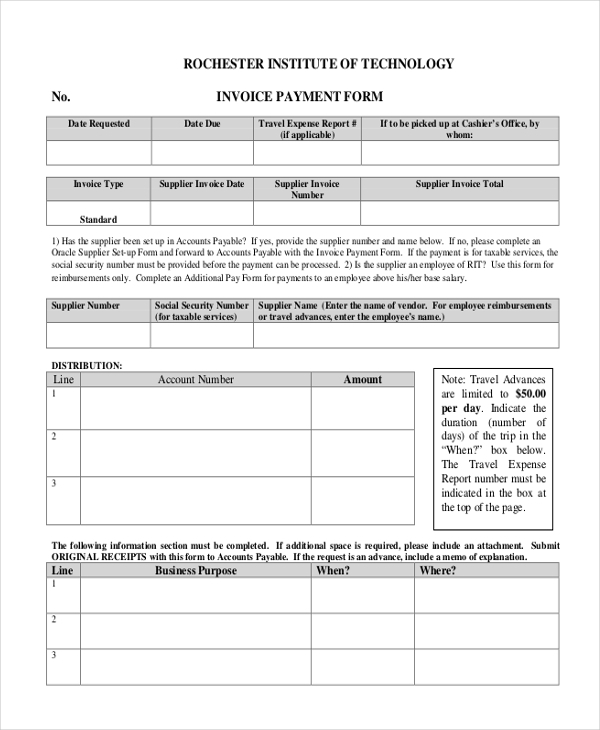 When a payment is made against the invoice generated by a contractor or organization for the services offered or the products sold, the party is expected to issue an invoice payment form to the payer. 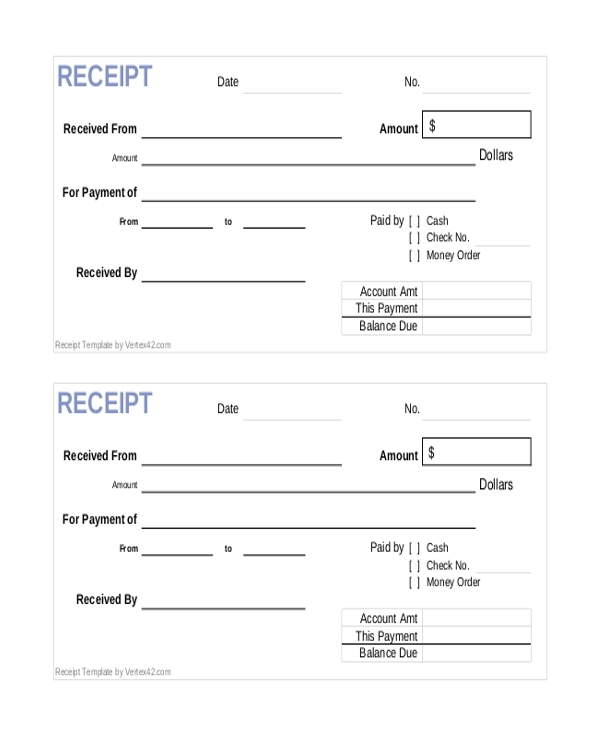 As the name indicates, this is a standard design of a payment receipt form. This comprises of all the important components that should be a part of such a form. It can be further customized as per the need of the issuer. 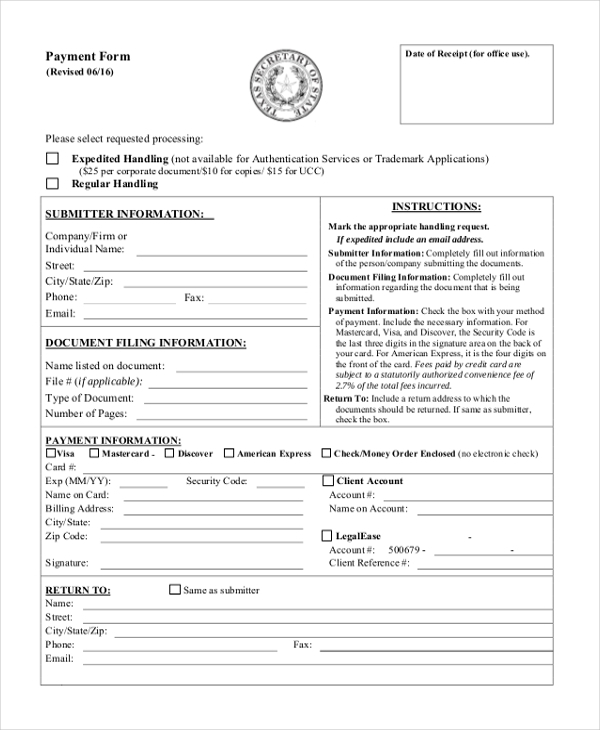 This is a form that is generally used to place orders for certain things. It also comprises of an acknowledgement receipt that the buyer is required to fill on receipt of the order indicating the details of the consignment received. A standardized version of a receipt of payment form, this comprises of all the important segments that should be present in it. The concerned party can further customize this form to suit their requirement and preferences. 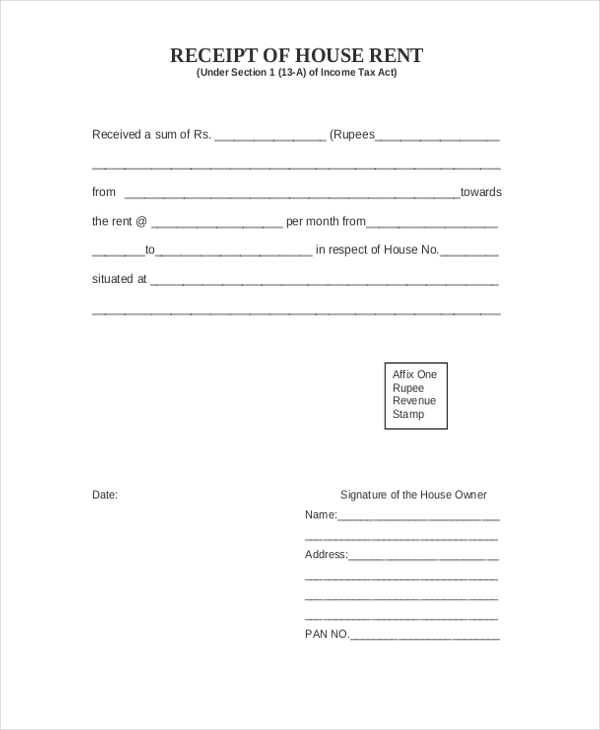 Used by property owners, this form is issued to acknowledge the receipt of rent from the tenant. This comes in handy for house owners as well as owners of commercial properties. As the name indicates, this receipt of payment form is used by home owners. When they receive the rent from their tenants, they are expected to issue this receipt to avoid confusions. Receipt of payment forms can come in handy for keeping track of the payments received. It also gives the business owners a clear idea about the preferences of their customers. These usually help the owners and contractors when their business is audited and at the time of payment of taxes. They issue the receipt of payment form to their customers for the products bought from them. They usually issue these forms to the retailers and wholesalers who purchase goods from them on bulk or to the customers who render their services. 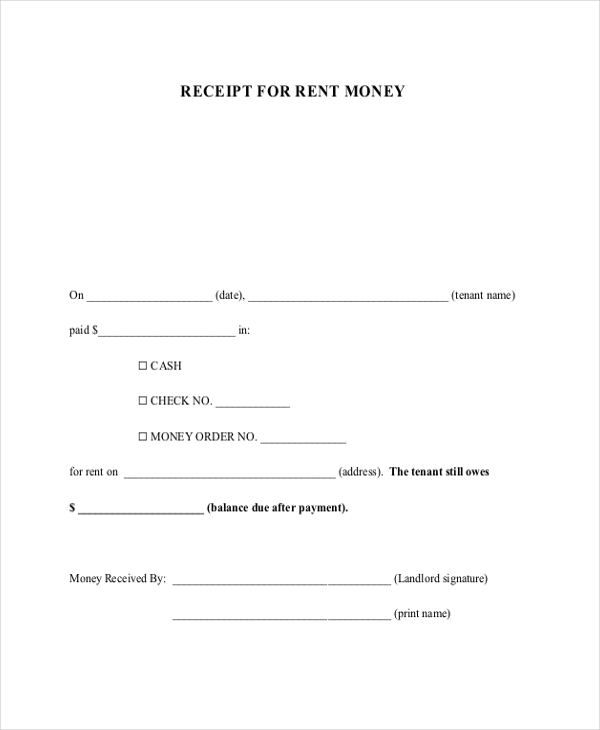 They use this form to acknowledge the receipt of their rent from their tenant. What are the Benefits of Using a Receipt for Payment Form? Why Use a Receipt for Payment Form? Apart from being a document that a company issues to the customer, a receipt form also enhances the credibility of a transaction and thus that of the company as a whole. Also, the way a receipt if designed can actually be reflective of the organization. It has been seen that customers usually prefer to deal with companies and contractors that issue receipts for payments as they find them more trustworthy. What should be Included in a Receipt for Payment Form? Receipt for payment forms apart from being a legally recognized document reflect the company standard, which is why these should be designed with a lot of care and thought. 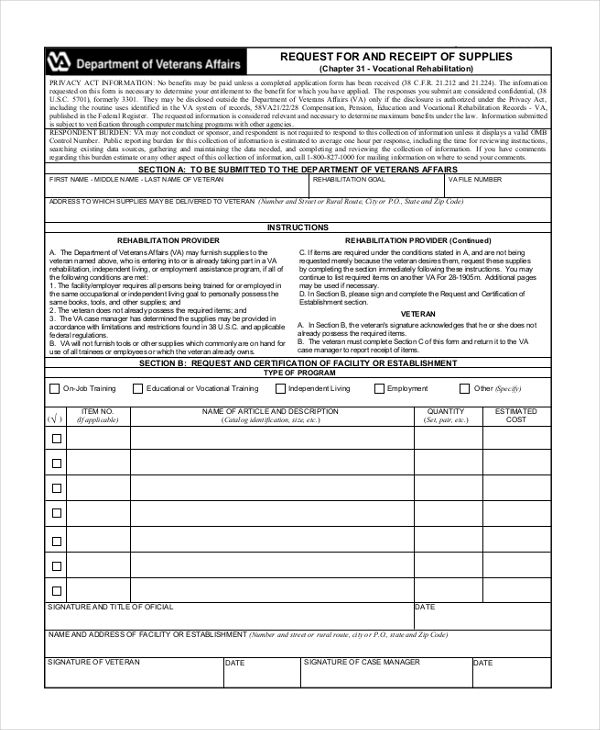 With these form now available online, this has actually become easier. These can be easily downloaded and then customized.